My nephew was moving into his student digs at Reading University so I thought I’d give him a hands-on seminar on how to cook microwave lamb curry. Students are known for excessive partying, drinking, smoking and on occasion, studying. This leaves very little time for eating, let alone cooking a decent meal. 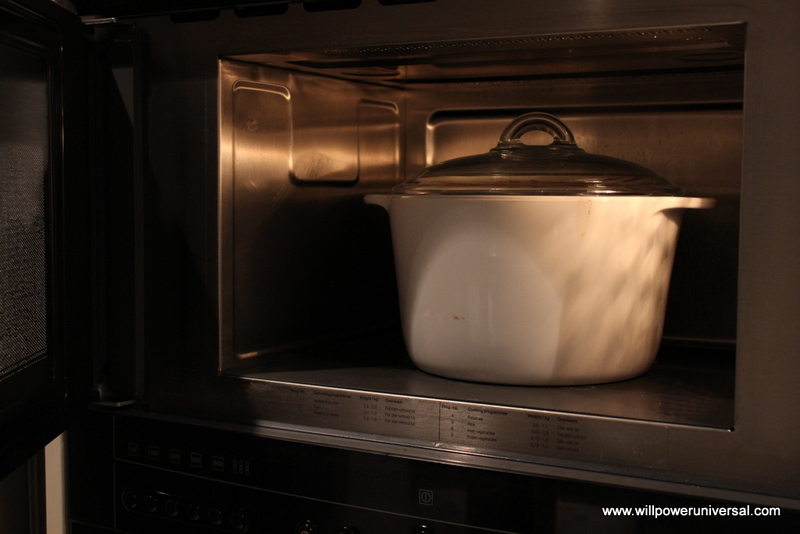 Luckily for him, his student accommodation came equipped with a shiny new kitchen with a microwave oven so I was able to pass on a valuable life skill – How to cook student food and fast! This Microwave Lamb Curry dish isn’t just for students, if you love lamb or crave a curry, then you’ll adore this recipe. Another plus point is that you’ll have your lamb curry cooked and on your plate quicker than you can call the local Indian curry house to make your order and have it delivered to your door. Taste the lamb to check whether it’s tender. (It should kind of melt in your mouth). If it is still a little tough, return to the microwave on full power for 5 minutes and repeat the check until the lamb is tender. Microwave Lamb Curry tastes delicious on a bed of plain white rice or with naan bread or poppadoms. Put some extra potatoes in the dish with the lamb before you pop it in the microwave. Do this and you won’t have to worry about cooking rice or finding some other carbs to eat with your lamb curry.